4th October 2018 by admin 0 comments on "Classic French Meals You Need to Try"
French cuisine is well-known all over the world due to its fine, healthy, and extremely delicious dishes. When we go on holiday, the first thing we want to do is to try the traditional foods of the country we visit. Therefore, if you plan to visit France in the future, then you should not forget to try the following amazing classic French meals. This traditional French soupe tastes absolutely amazing. 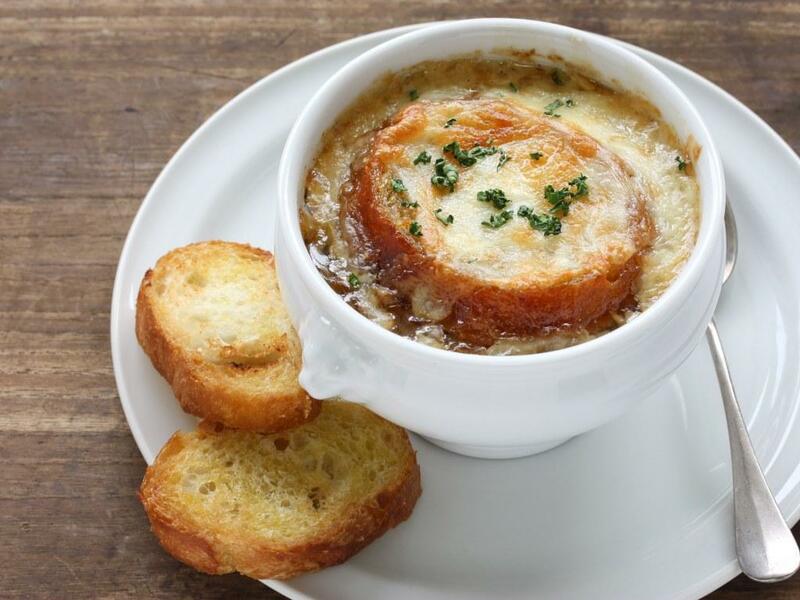 It is made of beef stock, onions, and most of the times served with melted cheese on top and croutons. Soupe a l’oignon is a quite old recipe, and it was actually a poor dish. The current version dates from the 17th century and it is considered these days a delicacy. The remarkable taste of this soup is from the caramelized onions, to which sherry is added once the slow-cooking process has ended. The liquid is meat stock and in some cases just water. If you are a soup lover, then we also recommend you try soupe de poisson a la rouille from Marseille, a traditional fishermen’s soup. This dish is characterized by a dollop of garlic and saffron mayonnaise. Cassoulet is another classic French meal that you need to go for once you arrive in France. It contains white beans, pork or duck meat, goose, sausages, and mutton. 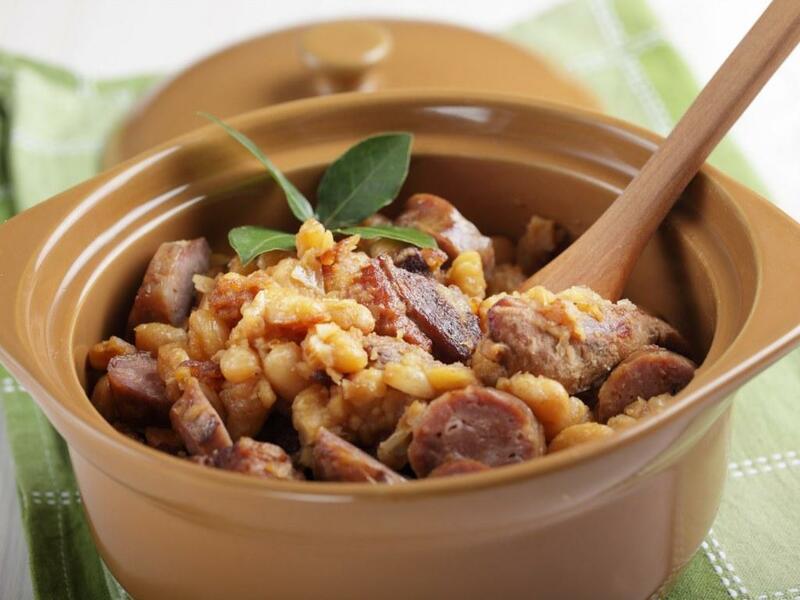 Cassoulet originates from southern France and it is extremely popular in Carcassonne and Toulouse. Its name comes from the pot it’s traditionally baked in. This is a quite rich meal, absolutely perfect for colder months. Don’t miss it out if you plan to visit France. We can say that this is a quintessential French dish, made of chicken braised with red wine, bacon, mushrooms, and onions. Some restaurants also add garlic and a drop of brandy for an extra flavor. The recipe is not a very complicated one and you can easily prepare it at home as well, in case you want to surprise your partner with a lovely and romantic dinner. Coq au Vin is a classic French meal you should go for especially if you plan a romantic dinner with your partner. If you like beef and you are in France, then you need to find a good restaurant and try this French traditional dish. Beef Bourguignon has become these days known all over the world. The dish is made from beef braised in red wine and seasoned with pearl onions, garlic, mushrooms, and several fresh herbs. The preparation time is around two days in order to tenderize tough cuts of meat. Most restaurants in France serve this meal, but if you want to try the best version of it, then we strongly recommend you to book a table at a very good restaurant. No matter what destination we choose for our holiday, it is essential to know exactly what dishes to go for in that specific place. Therefore, if your next vacation will be in France, then don’t forget to try all the above delicious traditional and classic meals.